Dan was a New York & Connecticut home builder and flat-track motorcycle racer; then moved to Lake Tahoe, CA where he enjoyed the thrill of flying off mountain tops. He was getting his Private Pilot License when in 1981, he had a spinal injury landing a hang glider in bad weather that he shouldn't have even been flying in. Losing his ability to walk, he returned to college to pursue a career in mechanical engineering, landing him in Silicon Valley, CA.? Despite this new handicap, Dan returned to the thrill of flying within six months, and since then his tenacity and adventurous spirit has allowed him to accrue more than 3,000 hours of flight time in Hang Gliders and Sailplanes. Completing his Private and Commercial Pilot License as a wheelchair user, his motor less recreational flights are typically 3-6 hours long, thermal soaring as high as 18,000 feet over the western deserts and mountains.? Performing principally across North America, his international venues have included Australia (8 times), Japan, Thailand, El Salvador, The United Arab Emirates, Canada, and Mexico.? Dan is also a Federally (BATF) and State licensed pyrotechnician trained by Hollywood effects pros. He installs, wires and sequences all of the special effects on the fabric wing himself. Can you blame him?? 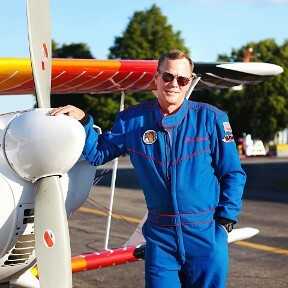 He is also a Commercial Glider pilot, enjoying sailplane aerobatics and giving glider rides to friends at Minden, Nevada when not on the Airshow tour. Dan owes Sailplaning to "Sky Sailing" in Warner Springs, CA, whose school has one of the few "hand control" equipped sailplanes in the US. 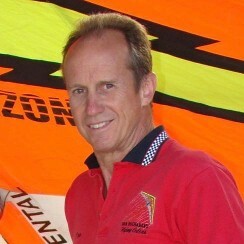 Get more information about these sailplanes visit www.skysailing.com? Steven Bennett was bitten by the aviation bug right out of high school, and decided to pursue his dream of flying. He earned his BS in Aeronautical Science from Embry Riddle, and then became a flight instructor for the university. Steve has been a professional pilot for more than 30 years. For the last 27 years, he has worked as an airline pilot for Horizon Air, which is an affiliate of Alaska Air Group. Steve has more than 19,000 flight hours between his professional and personal flying. 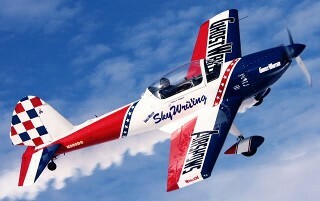 In 2006, Steve became interested in aerobatic flying. To pursue that interest, Steve joined a small group of pilots in a flying club. This airplane was what Steve first used to learn to do aerobatic maneuvers. Steve’s aerobatic abilities quickly advanced, and he soon outgrew the flying club. He then purchased his first solely owned airplane. 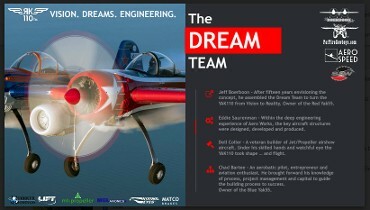 Steve began competing in IAC aerobatic competition events in August 2012. He has consistently placed among the top fliers at every event he has competed in. Steve’s current airplane is a Christen Eagle. A relative to the well-known Pitts aircraft, the Eagle has a more streamlined design, a roomier cockpit, and better visibility for the pilot. This plane is loved by pilots for its responsive handling. Though Steve purchased his Eagle already built, the Christen Eagle was designed by Frank Christensen as a home-built airplane. After purchasing a kit for an Eagle, the builder is supplied with step by step instructions and manuals full of illustrations to guide them through the lengthy process of building their own Christen Eagle aircraft. The Eagle is easily recognized and admired for its beautiful feathered paint scheme. The Christen Eagle first flew in 1977. Soloing as a teenager, Nathan now has over 7,000 hours of experience as an Airshow, Corporate, and Factory Demonstration Pilot as well as holding an aircraft mechanics license. Following the family legacy that began at the Aerodrome, Nathan continues to fly’s the museum’s collection of early pioneer and World War I aircraft. He has truly flown everything from Jenny’s to Jets! Twentyfive years ago, Nathan established, what would become, a deep-rooted involvement with a deHaviland Chipmunk, then known as the Pepsi SkyDancer. Flown at airshows by Steve Oliver and used to skywrite by Suzanne Oliver; SkyDancer thrilled over 45 million airshow fans. 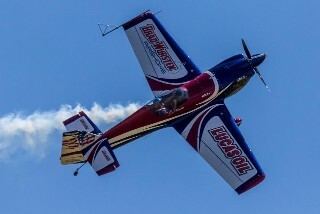 Enamored with the aircrafts graceful appearance and love of aerobatics, Nathan joined the crew, quickly advancing as lead ferry pilot and team crew chief at airshows across North America. 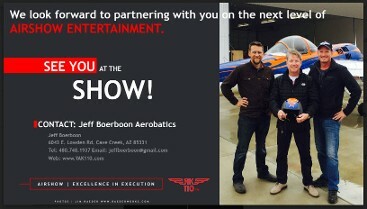 has received recognition on National TV and major news outlets for his work at Airshows, festivals, and sporting events. 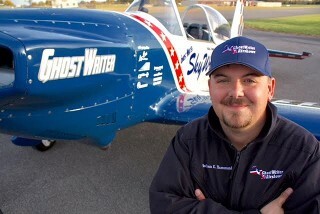 In 2016, with a well-established airshow career, Nathan took full control of SkyDancer and re-named the ship GhostWriter, in reference to his skywriting persona; visible message and seldom seen scribe. 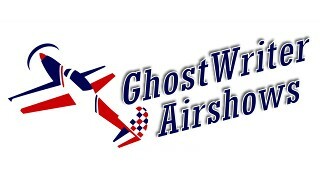 Today, Nathan flies GhostWriter in an action packed routine full of loops, rolls and verticals, held tightly in front of the crowd. When night falls and the stars come out, he lights up the sky with 200lbs of wing mounted pyrotechnics, as he dances across the sky. At the age of eight, Brad Wursten from Hyde Park, Utah had already started to realize his life long dream of flying airplanes. His initial venture was on a much smaller scale. He began by building small remote control airplanes on their family dinner table. He became very experienced and skilled at not only building them, but flying them. He still enjoys building and flying them today. 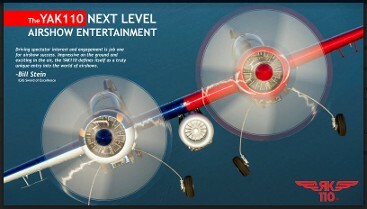 As his talents increased, so did his desire to fly real airplanes. 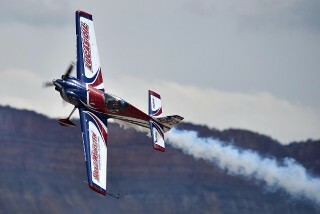 After graduating from Sky View High School in Smithfield, Utah, he started his new goal of earning his pilot’s license. Living close to Utah State University enabled him to have access to the aeronautics program and further his training. By 19 years of age he had earned his pilot’s license. With each progressive hurdle that was met, Brad received his commercial license at 25. 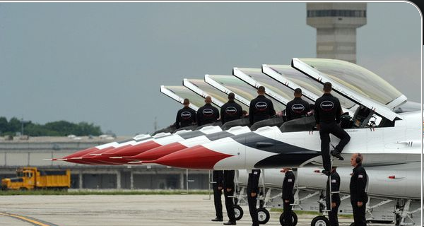 By the time he was 26 years old, his new dream was to become an aerobatic airplane pilot. 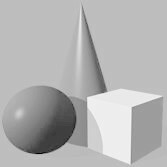 This also required much advanced training. He was trained by the world renowned pilot, Wayne Handley. Mr. Handley was so impressed with Brad’s talent, he attributed his success to his early training in flying remote control airplanes and understanding the physics and functions of the aerobatic planes. 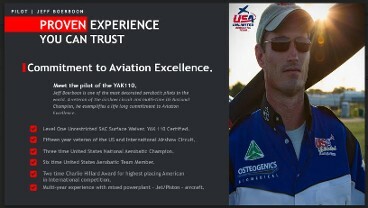 He currently has over 1500 hours of flying in various aircraft. Even though Brad is only 39 years old, we will see him flying in one of the most highly sophisticated airplanes in the world, the MXS-R, made by MX Aircraft. It features a complete carbon fiber airframe that weighs an impressive 1100 lbs. The Lycoming engine has 385 HP and can reach a top speed of over 300 MPH, a roll rate at 420 degrees per second, and “G” loading at +/- 15 “G’s”. Brad is very excited to currently be working with the Ryan J. Poe Foundation. The youth program, called “Elevate Your Life”, is the action arm of the Foundation. 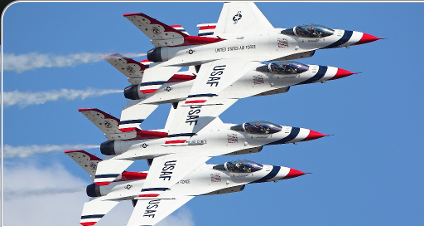 It was founded by Air Show performer Greg Poe as a result of the tragic drug related death of his son Ryan J. Poe in August 2002. The Foundations Mission Statement is: UTILIZE AVIATION TO INSPIRE, MOTIVATE AND PROVIDE A PATH FOR YOUNG PEOPLE TO REALIZE THEIR DREAMS! The encouragement that these young people receive to follow their dreams has truly been a lifelong dream of Brad Wursten.